This is our 150 genoa. It's a mylar/dacron laminate. It is very stiff and reponds to even the smallest trim adjustments. 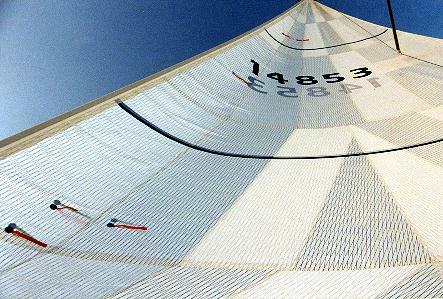 It's a super sail when it's flying but when it comes down on deck it's a bear to deal with. 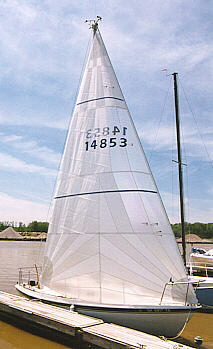 If I had it to do again I might get a dacron sail just for the ease of handling on deck. On the otherhand it's so nice when it's flying puitting up with a little on deck trouble may not be so bad.